Dry: 775 lbs., Wet: 5,975 lbs. Welcoming and inviting, the Barbados offers the perfect mix of size, performance and industry-leading innovations. The spacious Barbados is meant to be shared with family and friends, with its square design that spans 7’ 10” on each side, wide, open seating for seven and a private recliner style corner seat. A total of 62 optimally-positioned hydrotherapy jets target troublesome muscle groups to alleviate the aches and stress of even the most demanding day. 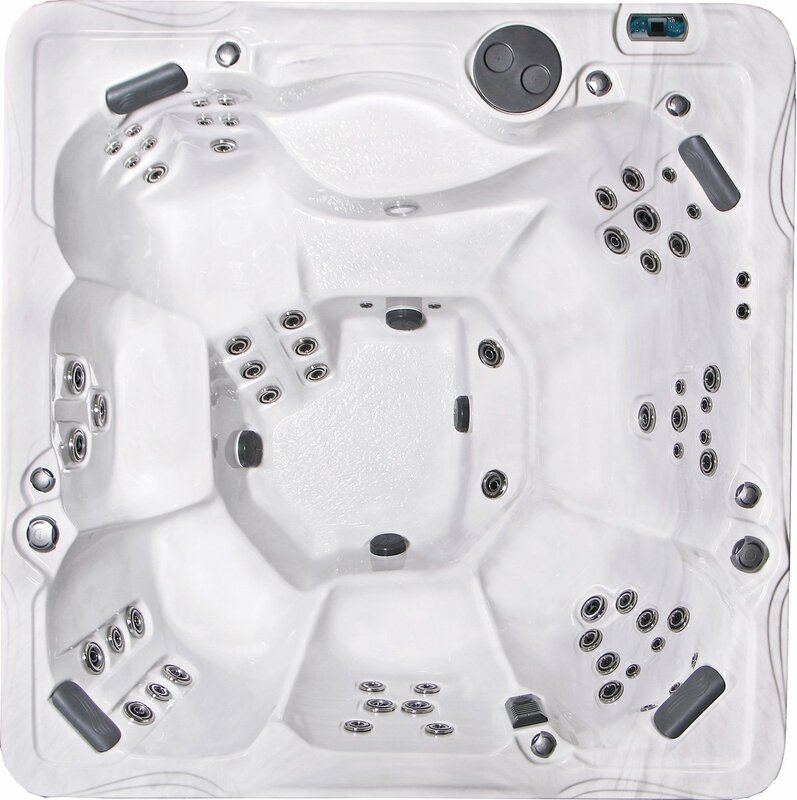 All hot tubs in the Premium series feature the patented stainless steel Reflections jetting™. Control spa-side from the in.k500 digital controller or simply turn to adjust or relocate the jet face to your desired seat for a custom massage without ever leaving your seat.